May be repurchased every 60 days. Limit 1 per person, may buy 1 additional as a gift. Limit 1 per visit. Valid only for option and location purchased. Pre-order required 24-hours in advance. Valid only at selected location. Additional fee may apply for customized designs or extra frosting. 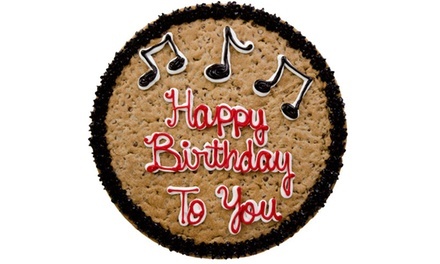 Valid towards 16" round cookie cakes only; price of cookie cake vary from $30.99 to $39.99.